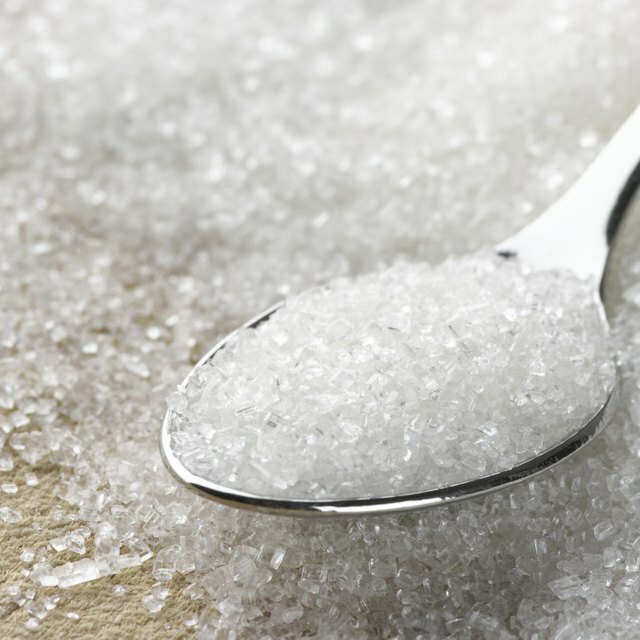 The chemical name for white table sugar is sucrose. Dry sugar crystals are ordered arrangements of sucrose molecules. They are shaped like cubes. Water (a solvent) dissolves sugar (a solute) to create what chemists call a solution. Under normal conditions, a fixed amount of water can only dissolve a certain amount of sugar before it becomes saturated. 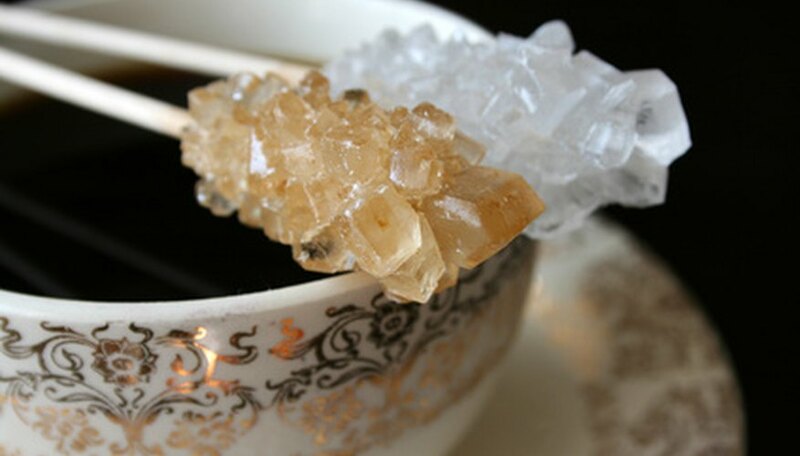 When you make rock candy, you boil a sugar-water solution over high heat. The heat increases the amount of sugar that the water can dissolve to create a super-saturated solution. Super-saturated solutions are unstable, so when you stir rock candy, sugar crystals will come out of the solution and attach to the string or stick in the jar. This process is called precipitation. The sugar crystals are called precipitates. As the sugar in the solution precipitates, your rock candy will grow, molecule by molecule. The final shape of your candy will reflect the shape of individual molecules of sugar. Cori Brenning has been writing since 2009. She is interested in mental health and has worked in several research labs, at a residential home for children and at a psychiatric hospital. Brenning holds a Bachelor of Science in psychology from Michigan State University. She is pursuing her Doctor of Psychology at the Chicago School of Professional Psychology. Brenning, Cori. "The Chemistry of Rock Candy." Sciencing, https://sciencing.com/chemistry-rock-candy-6974858.html. 24 April 2017.